LX trim, Modern Steel Metallic exterior and Black interior. Honda Certified, Superb Condition, LOW MILES - 51,981! EPA 36 MPG Hwy/28 MPG City! Bluetooth, CD Player, Back-Up Camera, iPod/MP3 Input. KEY FEATURES INCLUDE Back-Up Camera, iPod/MP3 Input, Bluetooth, CD Player MP3 Player, Keyless Entry, Remote Trunk Release, Child Safety Locks, Steering Wheel Controls. Honda LX with Modern Steel Metallic exterior and Black interior features a 4 Cylinder Engine with 143 HP at 6500 RPM*. EXPERTS CONCLUDE Edmunds.com's review says . the rear-seat accommodations are excellent for this class. The rear bench is mounted high enough to provide proper thigh support for adults, and it boasts significantly more real-world legroom than key rivals like the Chevrolet Cruze and Ford Focus.. Great Gas Mileage: 36 MPG Hwy. Approx. Original Base Sticker Price: $18,400*. PURCHASE WITH CONFIDENCE Balance of original 7-year/100,000-Mile Powertrain Warranty, Additional 1-year/12,000-mile Non-Powertrain Warranty, Vehicle History Report, NO Deductible, 182-Point Inspection and Reconditioning, 24 Hour Roadside Assistance includes, towing, lock-out assistance, tire change and fuel delivery, SiriusXM free three-month trial period on eligible factory equipped vehicles VISIT US TODAY All preowned vehicles are covered by the Lorensen Advantage, including extended warranties and free services. For more information go to www.lorensen.com/lorensen-advantage. Pricing analysis performed on 4/22/2019. Horsepower calculations based on trim engine configuration. Fuel economy calculations based on original manufacturer data for trim engine configuration. Please confirm the accuracy of the included equipment by calling us prior to purchase. Honda Certified, Superb Condition, GREAT MILES 53,797! EPA 39 MPG Hwy/30 MPG City! LX trim, Dyno Blue Pearl exterior and Gray interior. Bluetooth, CD Player, Back-Up Camera, iPod/MP3 Input. KEY FEATURES INCLUDE Back-Up Camera, iPod/MP3 Input, Bluetooth, CD Player. MP3 Player, Remote Trunk Release, Keyless Entry, Steering Wheel Controls, Electronic Stability Control. Honda LX with Dyno Blue Pearl exterior and Gray interior features a 4 Cylinder Engine with 143 HP at 6500 RPM*. EXPERTS REPORT The Honda Civic has long been one of the better-driving cars in its class, and this tradition continues with precise, well-weighted steering and composed handling. -Edmunds.com. Great Gas Mileage: 39 MPG Hwy. Approx. Original Base Sticker Price: $19,100*. BUY WITH CONFIDENCE AutoCheck One Owner Balance of original 7-year/100,000-Mile Powertrain Warranty, Additional 1-year/12,000-mile Non-Powertrain Warranty, Vehicle History Report, NO Deductible, 182-Point Inspection and Reconditioning, 24 Hour Roadside Assistance includes, towing, lock-out assistance, tire change and fuel delivery, SiriusXM free three-month trial period on eligible factory equipped vehicles VISIT US TODAY All preowned vehicles are covered by the Lorensen Advantage, including extended warranties and free services. For more information go to www.lorensen.com/lorensen-advantage. Pricing analysis performed on 4/23/2019. Horsepower calculations based on trim engine configuration. Fuel economy calculations based on original manufacturer data for trim engine configuration. Please confirm the accuracy of the included equipment by calling us prior to purchase. No Tricks. Just a great deal! Excellent Condition, Hyundai Certified. Bluetooth, CD Player, iPod/MP3 Input, Back-Up Camera. PRICE DROP FROM $14,900, PRICED TO MOVE $1,100 below NADA Retail!, FUEL EFFICIENT 38 MPG Hwy/28 MPG City! SEE MORE! 10-Year/ 100,000 mile Powertrain Limited Warranty, 24-Hour Roadside Assistance for 10-Years/Unlimited miles, 150-Point Inspection and Reconditioning, 3-Month of No-Charge SiriusXM© Satellite Radio All-Access Trial, Towing/Rental/Travel Breakdown reimbursement benefits, Carfax Vehicle History Report BUY WITH CONFIDENCE AutoCheck One Owner EXCELLENT VALUE Reduced from $14,900. This Accent is priced $1,100 below NADA Retail. KEY FEATURES INCLUDE Back-Up Camera, iPod/MP3 Input, Bluetooth, CD Player. MP3 Player, Keyless Entry, Remote Trunk Release, Child Safety Locks, Steering Wheel Controls. OPTION PACKAGES OPTION GROUP 01. Hyundai SE with Admiral Blue exterior and Black interior features a 4 Cylinder Engine with 130 HP at 6300 RPM*. Non-Smoker vehicle. EXPERTS REPORT Edmunds.com's review says Turn-in is quick, making it feel light on its feet, and it remains stable even when cornering on bumpy surfaces.. Great Gas Mileage: 38 MPG Hwy. VISIT US TODAY Welcome to Old Saybrook Hyundai! Located in Old Saybrook, CT, Old Saybrook Hyundai is proud to be one of the premier dealerships in the area. If you are looking for a Quality new Hyundai or a Quality pre-owned Hyundai in Branford, New Haven, Middletown, or the surrounding areas, we are the shorelines newest Hyundai dealer. From the moment you walk into our showroom, you'll know our commitment to Quality and Customer Service is second to none. Pricing analysis performed on 4/24/2019. Horsepower calculations based on trim engine configuration. Fuel economy calculations based on original manufacturer data for trim engine configuration. Please confirm the accuracy of the included equipment by calling us prior to purchase. No Tricks. Just a great deal! REDUCED FROM $14,775!, PRICED TO MOVE $1,000 below NADA Retail! Sport trim. Hyundai Certified, GREAT MILES 30,970! Heated Leather Seats, Navigation, Moonroof, Keyless Start, OPTION GROUP 04, Aluminum Wheels KEY FEATURES INCLUDE Leather Seats, Sunroof, Heated Driver Seat, Back-Up Camera, Aluminum Wheels, Keyless Start, Heated Seats, Heated Leather Seats Rear Spoiler, Remote Trunk Release, Keyless Entry, Child Safety Locks, Steering Wheel Controls. OPTION PACKAGES OPTION GROUP 04 Sport Tech Package, Hyundai Blue Link Telematics System, Radio: AM/FM/SiriusXM/CD/MP3 w/Navigation, 7-inch screen, 360-watt premium audio w/external amplifier, and iPod/USB auxiliary input jacks, Bluetooth hands-free phone system w/Voice Recognition, Support hands-free bluetooth audio streaming, In-glass AM/FM antenna, Roof-mounted bodycolor XM antenna, Speed - sensitive automatic volume control, Hyundai Blue Link Connected Care trial enrollment required. AFFORDABILITY Was $14,775. SHOP WITH CONFIDENCE 10-Year/ 100,000 mile Powertrain Limited Warranty , 24-Hour Roadside Assistance for 10-Years/Unlimited miles, 150-Point Inspection and Reconditioning, 3-Month of No-Charge SiriusXM© Satellite Radio All-Access Trial VISIT US TODAY Welcome to Old Saybrook Hyundai! Located in Old Saybrook, CT, Old Saybrook Hyundai is proud to be one of the premier dealerships in the area. If you are looking for a Quality new Hyundai or a Quality pre-owned Hyundai in Branford, New Haven, Middletown, or the surrounding areas, we are the shorelines newest Hyundai dealer. From the moment you walk into our showroom, you'll know our commitment to Quality and Customer Service is second to none. Pricing analysis performed on 4/24/2019. Horsepower calculations based on trim engine configuration. Fuel economy calculations based on original manufacturer data for trim engine configuration. Please confirm the accuracy of the included equipment by calling us prior to purchase. No Tricks. Just a Great Deal ! WAS $14,995, $2,400 below NADA Retail!, EPA 37 MPG Hwy/28 MPG City! Hyundai Certified. SEL trim. Smart Device Integration, Bluetooth, Cross-Traffic Alert, Blind Spot Monitor, iPod/MP3 Input, Aluminum Wheels. KEY FEATURES INCLUDE Back-Up Camera, Satellite Radio, iPod/MP3 Input, Bluetooth, Aluminum Wheels, Smart Device Integration, Blind Spot Monitor, Cross-Traffic Alert. MP3 Player, Remote Trunk Release, Keyless Entry, Steering Wheel Controls, Child Safety Locks. A GREAT TIME TO BUY Was $14,995. This Elantra is priced $2,400 below NADA Retail. SHOP WITH CONFIDENCE AutoCheck One Owner 10-Year/ 100,000 mile Powertrain Limited Warranty, 24-Hour Roadside Assistance for 10-Years/Unlimited miles, 150-Point Inspection and Reconditioning, 3-Month of No-Charge SiriusXM© Satellite Radio All-Access Trial, Towing/Rental/Travel Breakdown reimbursement benefits, Carfax Vehicle History Report OUR OFFERINGS Welcome to Old Saybrook Hyundai! Located in Old Saybrook, CT, Old Saybrook Hyundai is proud to be one of the premier dealerships in the area. If you are looking for a Quality new Hyundai or a Quality pre-owned Hyundai in Branford, New Haven, Middletown, or the surrounding areas, we are the shorelines newest Hyundai dealer. From the moment you walk into our showroom, you'll know our commitment to Quality and Customer Service is second to none. Pricing analysis performed on 4/24/2019. Fuel economy calculations based on original manufacturer data for trim engine configuration. Please confirm the accuracy of the included equipment by calling us prior to purchase. IM trim. Excellent Condition, ONLY 32,861 Miles! PRICE DROP FROM $14,889, EPA 37 MPG Hwy/28 MPG City! iPod/MP3 Input, Bluetooth, Dual Zone A/C, Aluminum Wheels, Back-Up Camera, Premium Sound System. AND MORE! KEY FEATURES INCLUDE Back-Up Camera, Premium Sound System, iPod/MP3 Input, Bluetooth, Aluminum Wheels, Dual Zone A/C. Rear Spoiler, MP3 Player, Keyless Entry, Child Safety Locks, Steering Wheel Controls. Scion iM with Barcelona Red Metallic exterior and Black interior features a 4 Cylinder Engine with 137 HP at 6100 RPM*. Serviced here, Non-Smoker vehicle, Originally bought here, All Service Records Available. VEHICLE REVIEWS Edmunds.com explains We're also impressed with the iM's ride quality, which demonstrates plenty of bump-soaking compliance while still maintaining a sense of composure and control.. Great Gas Mileage: 37 MPG Hwy. A GREAT TIME TO BUY Reduced from $14,889. 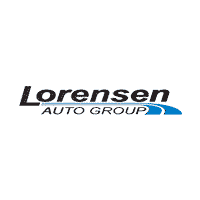 SHOP WITH CONFIDENCE AutoCheck One Owner OUR OFFERINGS All preowned vehicles are covered by the Lorensen Advantage, including extended warranties and free services. For more information go to www.lorensen.com/lorensen-advantage. Pricing analysis performed on 4/15/2019. Horsepower calculations based on trim engine configuration. Fuel economy calculations based on original manufacturer data for trim engine configuration. Please confirm the accuracy of the included equipment by calling us prior to purchase. REDUCED FROM $15,631!, FUEL EFFICIENT 36 MPG Hwy/28 MPG City!, PRICED TO MOVE $1,200 below Kelley Blue Book! Toyota Certified, Excellent Condition. LE trim. Sunroof, Lane Keeping Assist, Back-Up Camera, CARPET MAT PACKAGE (TMS) CLICK ME! KEY FEATURES INCLUDE Back-Up Camera, Lane Keeping Assist Keyless Entry, Remote Trunk Release, Steering Wheel Controls, Child Safety Locks, Heated Mirrors. OPTION PACKAGES LE PREMIUM PACKAGE W/MOONROOF Tilt & Slide Moonroof, sliding sunshade, Radio: Entune Audio Plus w/Connected Navigation, Entune Multimedia Bundle (7 high resolution touch-screen display, AM/FM CD player, 6 speakers, auxiliary audio jack, USB 2.0 port w/iPod connectivity and control, advanced voice recognition, hands-free phone capability, phone book access and music streaming via Bluetooth wireless technology), Connected Navigation Scout GPS Link App, Siri Eyes Free, SiriusXM All Access Radio and Gracenote album cover art, HD Radio, HD Radio traffic and weather in major metro areas, Wheels: 16 x 6.5 Alloy, center ornament wheel caps, CARPET MAT PACKAGE (TMS) carpet floor mats & trunk mat. Toyota LE with Falcon Gray Metallic exterior and Black interior features a 4 Cylinder Engine with 132 HP at 6000 RPM*. Serviced here, Non-Smoker vehicle, Originally bought here, All Service Records Available. AFFORDABILITY Reduced from $15,631. This Corolla is priced $1,200 below Kelley Blue Book. SHOP WITH CONFIDENCE AutoCheck One Owner 12-Month/12,000-Mile Limited Comprehensive Warranty, 7 Year/100,000 Mile Limited Powertrain Warranty from date of original purchase, 160-Point Inspection and Reconditioning, 1 Year of Roadside Assistance, Vehicle History Report Pricing analysis performed on 4/22/2019. Horsepower calculations based on trim engine configuration. Fuel economy calculations based on original manufacturer data for trim engine configuration. Please confirm the accuracy of the included equipment by calling us prior to purchase. LX trim, Crystal Black Pearl exterior and Black interior. Honda Certified, Excellent Condition, GREAT MILES 38,070! EPA 41 MPG Hwy/31 MPG City!, PRICED TO MOVE $500 below Kelley Blue Book! Bluetooth, iPod/MP3 Input, Back-Up Camera. CLICK NOW! KEY FEATURES INCLUDE Back-Up Camera, iPod/MP3 Input, Bluetooth. MP3 Player, Keyless Entry, Child Safety Locks, Steering Wheel Controls, Electronic Stability Control. Honda LX with Crystal Black Pearl exterior and Black interior features a 4 Cylinder Engine with 158 HP at 6500 RPM*. Serviced here, New Tires! 6 month 6,000 mile CT warranty extension on this vehicle. This vehicle passed out vigorous 182 point inspection with flying colors. VEHICLE REVIEWS Edmunds.com's review says . this Civic is seriously roomy. Four 6-footers should be content to ride all day, which is an extraordinary achievement for a compact sedan, and that enhanced space should also be a boon to families using bulky child safety seats.. Great Gas Mileage: 41 MPG Hwy. EXCELLENT VALUE This Civic Sedan is priced $500 below Kelley Blue Book. BUY WITH CONFIDENCE AutoCheck One Owner Balance of original 7-year/100,000-Mile Powertrain Warranty, Additional 1-year/12,000-mile Non-Powertrain Warranty, Vehicle History Report, NO Deductible, 182-Point Inspection and Reconditioning, 24 Hour Roadside Assistance includes, towing, lock-out assistance, tire change and fuel delivery, SiriusXM free three-month trial period on eligible factory equipped vehicles VISIT US TODAY All preowned vehicles are covered by the Lorensen Advantage, including extended warranties and free services. For more information go to www.lorensen.com/lorensen-advantage. Pricing analysis performed on 4/24/2019. Horsepower calculations based on trim engine configuration. Fuel economy calculations based on original manufacturer data for trim engine configuration. Please confirm the accuracy of the included equipment by calling us prior to purchase. One Owner/Clean Autocheck, EPA 41 MPG Hwy/30 MPG City! Honda Certified, Excellent Condition. LX-P trim. Sunroof, Bluetooth, Remote Engine Start, iPod/MP3 Input, Alloy Wheels, Back-Up Camera. CLICK NOW! KEY FEATURES INCLUDE Sunroof, Back-Up Camera, iPod/MP3 Input, Bluetooth, Aluminum Wheels, Remote Engine Start. MP3 Player, Keyless Entry, Steering Wheel Controls, Electronic Stability Control, Bucket Seats. Honda LX-P with Lunar Silver Metallic exterior and Black/Gray interior features a 4 Cylinder Engine with 158 HP at 6500 RPM*. Serviced here, Non-Smoker vehicle, Originally bought here, New Tires! 6 month 6,000 mile CT warranty extension on this vehicle. This vehicle passed out vigorous 182 point inspection with flying colors. EXPERTS ARE SAYING Edmunds.com explains This is a nicely buttoned-down chassis that is lithe and nimble, and it doesn't exhibit an excess of body roll. The variable-ratio steering is direct and eager when the corners get tight and interesting, but it's never darty or nervous. . Great Gas Mileage: 41 MPG Hwy. Approx. Original Base Sticker Price: $20,800*. PURCHASE WITH CONFIDENCE AutoCheck One Owner Balance of original 7-year/100,000-Mile Powertrain Warranty, Additional 1-year/12,000-mile Non-Powertrain Warranty, Vehicle History Report, NO Deductible, 182-Point Inspection and Reconditioning, 24 Hour Roadside Assistance includes, towing, lock-out assistance, tire change and fuel delivery, SiriusXM free three-month trial period on eligible factory equipped vehicles MORE ABOUT US All preowned vehicles are covered by the Lorensen Advantage, including extended warranties and free services. For more information go to www.lorensen.com/lorensen-advantage. Pricing analysis performed on 4/24/2019. Horsepower calculations based on trim engine configuration. Fuel economy calculations based on original manufacturer data for trim engine configuration. Please confirm the accuracy of the included equipment by calling us prior to purchase. REDUCED FROM $16,191!, $700 below NADA Retail!, EPA 26 MPG Hwy/20 MPG City! Jeep Certified, Excellent Condition, LOW MILES - 43,454! Heated Seats, iPod/MP3 Input, Satellite Radio, CD Player, Bluetooth, QUICK ORDER PACKAGE 2GB CLICK ME! KEY FEATURES INCLUDE 4x4, Heated Driver Seat, Satellite Radio, iPod/MP3 Input, Bluetooth, CD Player, Aluminum Wheels, Heated Seats. MP3 Player, Keyless Entry, Privacy Glass, Child Safety Locks, Steering Wheel Controls. OPTION PACKAGES ENGINE: 2.4L I4 DOHC 16V DUAL VVT (STD), TRANSMISSION: 6-SPEED AUTOMATIC Autostick Automatic Transmission, Tip Start (STD), QUICK ORDER PACKAGE 2GB Engine: 2.4L I4 DOHC 16V Dual VVT, Transmission: 6-Speed Automatic, Remote Start System. Jeep Latitude with Granite Crystal Met. Clear Coat exterior and Dark Slate Gray interior features a 4 Cylinder Engine with 172 HP at 6000 RPM*. Clean CARFAX report! EXPERTS CONCLUDE The Patriot's primary gauges make a good first impression with their large, easy-to-read font, and the straightforward, generally ergonomic controls are consistent with Jeep's no-nonsense heritage. -Edmunds.com. Great Gas Mileage: 26 MPG Hwy. EXCELLENT VALUE Reduced from $16,191. This Patriot is priced $700 below NADA Retail. Approx. Original Base Sticker Price: $25,600*. BUY WITH CONFIDENCE 125-Point Inspection and Reconditioning, Rental Car Allowance, Lifetime Certified Warranty Upgrades Available, 24-Hour Roadside Assistance, 24-Hour Towing, 3-Month/3,000-Mile Maximum Care Coverage, Carfax Vehicle History Report, 7-Year/100,000-Mile Powertrain Limited warranty, Introductory 3-month subscription to SiriusXM® Satellite Radio Pricing analysis performed on 4/24/2019. Horsepower calculations based on trim engine configuration. Fuel economy calculations based on original manufacturer data for trim engine configuration. Please confirm the accuracy of the included equipment by calling us prior to purchase. FUEL EFFICIENT 41 MPG Hwy/31 MPG City! LX trim, Modern Steel Metallic exterior and Black interior. Dealer Certified, Excellent Condition, LOW MILES - 28,533! Bluetooth, iPod/MP3 Input, Back-Up Camera. KEY FEATURES INCLUDE Back-Up Camera, iPod/MP3 Input, Bluetooth MP3 Player, Keyless Entry, Child Safety Locks, Steering Wheel Controls, Electronic Stability Control. Honda LX with Modern Steel Metallic exterior and Black interior features a 4 Cylinder Engine with 158 HP at 6500 RPM*. EXPERTS CONCLUDE Edmunds.com explains . this Civic is seriously roomy. Four 6-footers should be content to ride all day, which is an extraordinary achievement for a compact sedan, and that enhanced space should also be a boon to families using bulky child safety seats.. Great Gas Mileage: 41 MPG Hwy. PURCHASE WITH CONFIDENCE AutoCheck One Owner Balance of original 7-year/100,000-Mile Powertrain Warranty, Additional 1-year/12,000-mile Non-Powertrain Warranty, Vehicle History Report, NO Deductible, 182-Point Inspection and Reconditioning, 24 Hour Roadside Assistance includes, towing, lock-out assistance, tire change and fuel delivery, SiriusXM free three-month trial period on eligible factory equipped vehicles OUR OFFERINGS All preowned vehicles are covered by the Lorensen Advantage, including extended warranties and free services. For more information go to www.lorensen.com/lorensen-advantage. Horsepower calculations based on trim engine configuration. Fuel economy calculations based on original manufacturer data for trim engine configuration. Please confirm the accuracy of the included equipment by calling us prior to purchase. Toyota Certified, Excellent Condition, LOW MILES - 14,737! REDUCED FROM $17,431!, $600 below Kelley Blue Book! Moonroof, iPod/MP3 Input, Bluetooth, CD Player, POWER TILT/SLIDE MOONROOF, Aluminum Wheels, Back-Up Camera SEE MORE! KEY FEATURES INCLUDE Back-Up Camera, iPod/MP3 Input, Bluetooth, CD Player, Aluminum Wheels. Rear Spoiler, MP3 Player, Keyless Entry, Remote Trunk Release, Child Safety Locks. OPTION PACKAGES POWER TILT/SLIDE MOONROOF sliding sunshade. Toyota S Plus with Slate Metallic exterior and Black interior features a 4 Cylinder Engine with 132 HP at 6000 RPM*. Serviced here, Originally bought here, All Service Records Available. VEHICLE REVIEWS Edmunds.com's review says Copious rear legroom; impressive fuel economy; user-friendly controls; generous standard equipment; pleasant ride.. A GREAT TIME TO BUY Was $17,431. This Corolla is priced $600 below Kelley Blue Book. BUY WITH CONFIDENCE 12-Month/12,000-Mile Limited Comprehensive Warranty, 7 Year/100,000 Mile Limited Powertrain Warranty from date of original purchase, 160-Point Inspection and Reconditioning, 1 Year of Roadside Assistance, Vehicle History Report VISIT US TODAY All preowned vehicles are covered by the Lorensen Advantage, including extended warranties and free services. For more information go to www.lorensen.com/lorensen-advantage. Pricing analysis performed on 4/22/2019. Horsepower calculations based on trim engine configuration. Please confirm the accuracy of the included equipment by calling us prior to purchase. Excellent Condition, Toyota Certified, LOW MILES - 24,321! BLUE CRUSH METALLIC exterior and BLACK interior, S Plus trim. iPod/MP3 Input, Bluetooth, CD Player, S PLUS PACKAGE, Alloy Wheels, Back-Up Camera. AND MORE! KEY FEATURES INCLUDE Back-Up Camera, iPod/MP3 Input, Bluetooth, CD Player, Aluminum Wheels. Rear Spoiler, MP3 Player, Keyless Entry, Remote Trunk Release, Steering Wheel Controls. OPTION PACKAGES S PLUS PACKAGE Sport Package option 1. Toyota S Plus with BLUE CRUSH METALLIC exterior and BLACK interior features a 4 Cylinder Engine with 132 HP at 6000 RPM*. Serviced here, Non-Smoker vehicle, Originally bought here. EXPERTS RAVE Copious rear legroom; impressive fuel economy; user-friendly controls; generous standard equipment; pleasant ride. -Edmunds.com. SHOP WITH CONFIDENCE AutoCheck One Owner 12-Month/12,000-Mile Limited Comprehensive Warranty, 7 Year/100,000 Mile Limited Powertrain Warranty from date of original purchase, 160-Point Inspection and Reconditioning, 1 Year of Roadside Assistance, Vehicle History Report OUR OFFERINGS All preowned vehicles are covered by the Lorensen Advantage, including extended warranties and free services. For more information go to www.lorensen.com/lorensen-advantage. Pricing analysis performed on 4/23/2019. Horsepower calculations based on trim engine configuration. Please confirm the accuracy of the included equipment by calling us prior to purchase. SE trim. WAS $16,962, FUEL EFFICIENT 35 MPG Hwy/25 MPG City! Toyota Certified, Excellent Condition. Bluetooth, CD Player, iPod/MP3 Input, Aluminum Wheels, Back-Up Camera, Serviced here, All Service Records Available. AND MORE! KEY FEATURES INCLUDE Back-Up Camera, iPod/MP3 Input, Bluetooth, CD Player, Aluminum Wheels Rear Spoiler, MP3 Player, Keyless Entry, Remote Trunk Release, Steering Wheel Controls. Toyota SE with SUPER WHITE exterior and BLACK interior features a 4 Cylinder Engine with 178 HP at 6000 RPM*. Serviced here, All Service Records Available. EXPERTS REPORT Edmunds.com's review says The 2016 Toyota Camry provides one of the most comfortable and spacious cabins of any midsize family sedan. There's plenty of headroom and legroom up front and not much less in back, where even taller adults will be content to ride for extended periods.. Great Gas Mileage: 35 MPG Hwy. EXCELLENT VALUE Reduced from $16,962. PURCHASE WITH CONFIDENCE 12-Month/12,000-Mile Limited Comprehensive Warranty, 7 Year/100,000 Mile Limited Powertrain Warranty from date of original purchase, 160-Point Inspection and Reconditioning, 1 Year of Roadside Assistance, Vehicle History Report WHO WE ARE All preowned vehicles are covered by the Lorensen Advantage, including extended warranties and free services. For more information go to www.lorensen.com/lorensen-advantage. Pricing analysis performed on 4/18/2019. Horsepower calculations based on trim engine configuration. Fuel economy calculations based on original manufacturer data for trim engine configuration. Please confirm the accuracy of the included equipment by calling us prior to purchase. Toyota Certified, Excellent Condition, GREAT MILES 52,675! FUEL EFFICIENT 38 MPG Hwy/40 MPG City! NAV, Sunroof, Bluetooth, CD Player, Dual Zone A/C, Keyless Start, Hybrid, MOONROOF PACKAGE, Back-Up Camera, Alloy Wheels CLICK NOW! KEY FEATURES INCLUDE Back-Up Camera, Hybrid, Bluetooth, CD Player, Aluminum Wheels, Keyless Start, Dual Zone A/C Rear Spoiler, Remote Trunk Release, Keyless Entry, Steering Wheel Controls, Child Safety Locks. OPTION PACKAGES RADIO: DISPLAY AUDIO W/NAVIGATION & ENTUNE 10 speakers and Satellite radio, MOONROOF PACKAGE power tilt/slide moonroof anti-pinch type w/rear personal lamp and dual illuminated visor vanity mirrors. Toyota SE Limited Edition with Barcelona Red Metallic exterior and Black interior features a 4 Cylinder Engine with 200 HP at 5700 RPM*. Serviced here, Originally bought here, 4 New Tires! Upgraded stereo that can be accessorized to provide GPS Navigation, and more! EXPERTS ARE SAYING Edmunds.com explains Like other Camrys, the hybrid also boasts comfortable seating front and rear, good outward visibility and an ideal balance between a smooth, quiet ride and responsive handling.. Great Gas Mileage: 40 MPG City. Approx. Original Base Sticker Price: $27,900*. PURCHASE WITH CONFIDENCE AutoCheck One Owner 12-Month/12,000-Mile Limited Comprehensive Warranty, 7 Year/100,000 Mile Limited Powertrain Warranty from date of original purchase, 160-Point Inspection and Reconditioning, 1 Year of Roadside Assistance, Vehicle History Report WHY BUY FROM US All preowned vehicles are covered by the Lorensen Advantage, including extended warranties and free services. For more information go to www.lorensen.com/lorensen-advantage. Pricing analysis performed on 4/18/2019. Horsepower calculations based on trim engine configuration. Fuel economy calculations based on original manufacturer data for trim engine configuration. Please confirm the accuracy of the included equipment by calling us prior to purchase. 300 trim. $2,100 below NADA Retail! Excellent Condition, Chrysler Certified, LOW MILES - 43,883! Nav System, Moonroof, Heated Leather Seats, Bluetooth, All Wheel Drive, Dual Zone A/C, iPod/MP3 Input, Aluminum Wheels. SEE MORE! BUY WITH CONFIDENCE 7-Year/100,000-Mile Powertrain warranty, 3-Month/3,000-Mile Maximum Care Warranty, Rigorous 125-Point Inspection and Reconditioning, 24-Hour Roadside Assistance, 24-Hour Towing, Carfax Vehicle History Report, Rental car Allowance, Lifetime Certified Warranty Upgrades Available, Introductory 3-month subscription to SiriusXM® Satellite Radio A GREAT VALUE This 300 is priced $2,100 below NADA Retail. Approx. Original Base Sticker Price: $33,900*. KEY FEATURES INCLUDE Leather Seats, All Wheel Drive, Heated Driver Seat, iPod/MP3 Input, Bluetooth, Aluminum Wheels, Dual Zone A/C, Heated Seats, Heated Leather Seats Keyless Entry, Remote Trunk Release, Steering Wheel Controls, Child Safety Locks, Heated Mirrors. OPTION PACKAGES DRIVER CONVENIENCE GROUP CHMSL Lamp, Universal Garage Door Opener, Fog Lamps, Power Driver/Passenger 4-Way Lumbar Adjust, Remote Start System, ParkView Rear Back-Up Camera, Power Front Driver/Passenger Seats, Security Alarm, DUAL-PANE PANORAMIC SUNROOF, RADIO: UCONNECT 8.4N CD/DVD/MP3/NAV SIRIUSXM Travel Link, Garmin Navigation System, SiriusXM Traffic, ENGINE: 3.6L V6 24V VVT (STD), TRANSMISSION: 8-SPEED AUTOMATIC (STD). Chrysler 300 with Phantom Black Tri-Coat Pearl exterior and Black interior features a V6 Cylinder Engine with 292 HP at 6350 RPM*. VEHICLE REVIEWS Edmunds.com explains . there's plenty of room for occupants of all sizes. The adjustability of the driver seat and tilt-and-telescoping steering wheel is particularly generous, while the rear seats are both spacious and supportive.. Pricing analysis performed on 4/24/2019. Horsepower calculations based on trim engine configuration. Please confirm the accuracy of the included equipment by calling us prior to purchase. Jeep Certified, Superb Condition, ONLY 35,280 Miles! PRICED TO MOVE $300 below NADA Retail!, EPA 26 MPG Hwy/20 MPG City! Heated Seats, iPod/MP3 Input, Satellite Radio, CD Player, Bluetooth, 4x4, TRANSMISSION: 6-SPEED AUTOMATIC CLICK ME! KEY FEATURES INCLUDE 4x4, Heated Driver Seat, Satellite Radio, iPod/MP3 Input, Bluetooth, CD Player, Heated Seats. Rear Spoiler, MP3 Player, Privacy Glass, Keyless Entry, Steering Wheel Controls. OPTION PACKAGES PARKVIEW REAR BACK-UP CAMERA, WHEELS: 18 X 7 ALUMINUM CHROME CLAD Tires: P215/55R18 BSW AS Performance, QUICK ORDER PACKAGE 2GS Engine: 2.4L I4 DOHC 16V Dual VVT, Transmission: 6-Speed Automatic, Remote Start System, TRANSMISSION: 6-SPEED AUTOMATIC (STD), ENGINE: 2.4L I4 DOHC 16V DUAL VVT (STD). Jeep Latitude with Bright White Clearcoat exterior and Dark Slate Gray interior features a 4 Cylinder Engine with 172 HP at 6000 RPM*. Clean CARFAX report! EXPERTS ARE SAYING The Jeep Compass combines competence and predictable maneuverability with smooth powertrains and an ample selection of standard equipment at affordable prices. -newCarTestDrive.com. Great Gas Mileage: 26 MPG Hwy. AFFORDABILITY This Compass is priced $300 below NADA Retail. Approx. Original Base Sticker Price: $26,000*. SHOP WITH CONFIDENCE AutoCheck One Owner 125-Point Inspection and Reconditioning, Rental Car Allowance, Lifetime Certified Warranty Upgrades Available, 24-Hour Roadside Assistance, 24-Hour Towing, 3-Month/3,000-Mile Maximum Care Coverage, Carfax Vehicle History Report, 7-Year/100,000-Mile Powertrain Limited warranty, Introductory 3-month subscription to SiriusXM® Satellite Radio MORE ABOUT US All preowned vehicles are covered by the Lorensen Advantage Pricing analysis performed on 4/22/2019. Horsepower calculations based on trim engine configuration. Fuel economy calculations based on original manufacturer data for trim engine configuration. Please confirm the accuracy of the included equipment by calling us prior to purchase. Hyundai Certified, LOW MILES - 14,010! WAS $18,350, PRICED TO MOVE $1,300 below NADA Retail!, EPA 32 MPG Hwy/24 MPG City! iPod/MP3 Input, Bluetooth, Smart Device Integration, Aluminum Wheels, Back-Up Camera, Satellite Radio AND MORE! KEY FEATURES INCLUDE Back-Up Camera, Satellite Radio, iPod/MP3 Input, Bluetooth, Aluminum Wheels, Smart Device Integration Rear Spoiler, MP3 Player, Keyless Entry, Steering Wheel Controls, Child Safety Locks. AFFORDABLE Was $18,350. This Elantra GT is priced $1,300 below NADA Retail. BUY WITH CONFIDENCE 10-Year/ 100,000 mile Powertrain Limited Warranty, 24-Hour Roadside Assistance for 10-Years/Unlimited miles, 150-Point Inspection and Reconditioning, 3-Month of No-Charge SiriusXM© Satellite Radio All-Access Trial, Towing/Rental/Travel Breakdown reimbursement benefits, Carfax Vehicle History Report BUY FROM AN AWARD WINNING DEALER Welcome to Old Saybrook Hyundai! Located in Old Saybrook, CT, Old Saybrook Hyundai is proud to be one of the premier dealerships in the area. If you are looking for a Quality new Hyundai or a Quality pre-owned Hyundai in Branford, New Haven, Middletown, or the surrounding areas, we are the shorelines newest Hyundai dealer. From the moment you walk into our showroom, you'll know our commitment to Quality and Customer Service is second to none. Pricing analysis performed on 4/24/2019. Fuel economy calculations based on original manufacturer data for trim engine configuration. Please confirm the accuracy of the included equipment by calling us prior to purchase. EPA 35 MPG Hwy/25 MPG City! Toyota Certified, Excellent Condition, LOW MILES - 26,425! LE trim, Midnight Black Metallic exterior and Black interior. Bluetooth, CD Player, Back-Up Camera, iPod/MP3 Input. SEE MORE! KEY FEATURES INCLUDE Back-Up Camera, iPod/MP3 Input, Bluetooth, CD Player MP3 Player, Keyless Entry, Remote Trunk Release, Steering Wheel Controls, Child Safety Locks. Toyota LE with Midnight Black Metallic exterior and Black interior features a 4 Cylinder Engine with 178 HP at 6000 RPM*. Serviced here, Non-Smoker vehicle, Originally bought here, All Service Records Available. EXPERTS REPORT Edmunds.com explains The 2016 Toyota Camry provides one of the most comfortable and spacious cabins of any midsize family sedan. There's plenty of headroom and legroom up front and not much less in back, where even taller adults will be content to ride for extended periods.. Great Gas Mileage: 35 MPG Hwy. PURCHASE WITH CONFIDENCE AutoCheck One Owner 12-Month/12,000-Mile Limited Comprehensive Warranty, 7 Year/100,000 Mile Limited Powertrain Warranty from date of original purchase, 160-Point Inspection and Reconditioning, 1 Year of Roadside Assistance, Vehicle History Report WHY BUY FROM US All preowned vehicles are covered by the Lorensen Advantage, including extended warranties and free services. For more information go to www.lorensen.com/lorensen-advantage. Pricing analysis performed on 4/22/2019. Horsepower calculations based on trim engine configuration. Fuel economy calculations based on original manufacturer data for trim engine configuration. Please confirm the accuracy of the included equipment by calling us prior to purchase.